NEW YORK CITY (WABC) -- If you've ever dreamed of becoming a "JEOPARDY!" champion, your journey could begin on September 12th with the opening of registration for the Online Contestant Test. In conjunction with the popular game show's 33rd season premiere, hopeful contestants from the United States and Canada can register for the next Adult and College Online Tests by going to Jeopardy.com. The tests get under way on September 28th with the college edition, followed by the adult online tests taking place from October 4th through 6th. Since "JEOPARDY!" began offering the Online Contestant Test in 2006, approximately 1 million people have taken the challenge. "I always say the contestants are the real stars of "JEOPARDY! ", and I encourage those of you who enjoy playing along at home to try out for the show," said "JEOPARDY!" 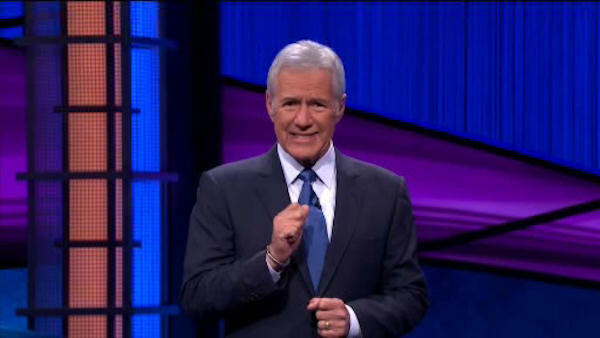 host Alex Trebek.